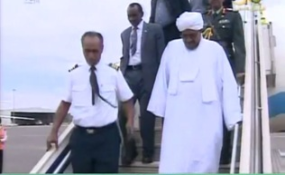 Will Sudan's Latest Protests Bring Down Bashir? Sudan — The Sudan Democracy First Group (SDFG) has demanded the launch of an independent enquiry into killing of protestors, while journalists are informed that publishing information about demonstrations is now banned. The crack-down by the National Intelligence and Security Service (NISS) on journalists and newspapers has continued since peace protests began demanding the step-down of Al Bashir and his regime from power a month ago. Yesterday, a Sudanese journalist told Radio Dabanga that the pre-censorship on newspapers in the country has become even more stringent by blocking publication of any material covering anti-government demonstrations and security violence against demonstrators. In the meantime, an urgent call for an independent enquiry commission to investigate the killing of peaceful demonstrators in Sudan has been made by the SDFG. The statement says that atrocities committed by the NISS, police forces, and other government militias must be recognised and not go unpunished. The statement also calls into question the legitimacy of a government commission to investigate and assess losses of what it has called the encroachment and destruction of public properties during the first two days of the demonstrations. It points out that it does not "include investigating the killing and injuries of peaceful protesters." The statement went on to say: "SDFG calls upon the United Nations organizations, the Human Rights Council, the International Human Rights Commission, regional and international human rights organizations, and all peace, freedom and democracy defenders to exercise the highest possible pressure on the Sudanese Government to accept and allow an independent international inquiry commission, to investigate these latest crimes, in close cooperation with Sudanese human rights organizations, associations of Sudanese lawyers, Sudanese judges and civil society organizations."